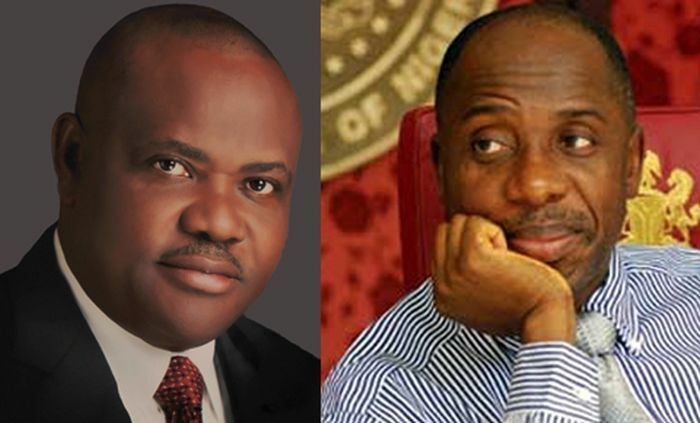 Governor Nyesom Wike of Rivers State has denied making comments suggesting that he was opposed to President Muhammadu Buhari visiting the state. Wike stated this on Monday in Port Harcourt, the state capital when he appeared on Channels Television’s Breakfast Programme Sunrise Daily. “I never said that President Buhari should not come to Rivers State and I can never say it. The President is the President of the country. He has the right to come to Rivers State”. The governor however argued that Rivers State is not faced with security challenges and does not need presidential solidarity visit. According to him, Rivers State is safe and is not confronted with herdsmen attacks of clashes. He added that President Buhari has the right to visit Rivers State but not if its a solidarity visit due to insecurity. “What I disagreed with is that, if you (Buhari) are coming because of insecurity. No. An armed robber operated and killed 15 people. This is not the same thing that daily herdsmen are attacking people and could lead to religious or ethnic war. That is the point I made. President Muhammadu Buhari in March 5 announced his plan to visit Taraba, Yobe, Benue, Zamfara and Rives states affected by several attacks in the country. The President also noted his administration’s commitment to ending the killings. Governor Wike further revealed plans made by his administration in commissioning the first Industrial court in the state. He explained that the state records nearly 80 percent of labour related cases in the country, hence the establishment of the project.